U.S. based production is now underway in Smyrna TN. Nissan says one advantage is this gives them a better currency exchange rate position, though they haven't said whether this will mean a lower price in the U.S. It also means potentially higher production volume, which could also mean a lower price. The drive train is largely the same (24 kilowatt-hour) but they've done some efficiency improvements. They expect the EPA range certification to be higher. The Japanese 2013 Leaf had a 14% range jump, and if that same range increase holds in the American model it'll mean 82 mile EPA range up from 73 miles. The on-board charger is 6.6 kilowatts meaning faster recharge for longer effective range. There's a new model .. the S grade .. which will be cheaper but again they haven't announced prices. OK. The prices, and specs are now available. Interestingly, the cheapest version should have the best range. My guess for EPA mileage is 1.035 x 73 = 76 miles for the cheapest one!! The lowest price is $28,800 MSRP, and the highly recommended charger upgrade (6.6 kilowatt plus CHADEMO) adds another $1,300 for a $30,100 total MSRP from which you subtract out tax incentives. In California the final price would be $20,100 for a great electric car. The other interesting piece of news is that Nissan is planning to build a network of CHADEMO quick charge stations at their dealerships. "Interesting that it took Nissan sooo long to make such a step"
Yes! I was amazed they didn't put them in at Leaf dealers. They all have level 2 chargers. Whos going to hang out on "car dealer row" for hours? Nissan has level 3 chargers they retail for $10K. They were beaten over the head with "range anxiety" for two years! Its like selling a car in a town with no gas stations. Sure, most people charge at home. But if there was a fast charger in our town, they would have sold a lot more than two in the last two years, if people who live in the area could get an extra 25 miles range in ten minutes! Given that the Leaf is exhibiting battery capacity drops associated with packs being overheated by both hot weather and quick charging, it appears that they are actually digging this car's looming grave a bit deeper. Maybe if they put warnings on the fast chargers not to use them on hot packs or in hot weather it would be a good idea, but as it is they are just going to get flooded with complaints about range drops and with failing packs from overheating. They should have used the upgrade period to install cooling fans and air scoops or coolant loops. "Given that the Leaf is exhibiting battery capacity drops associated with packs being overheated by both hot weather and quick charging, it appears that they are actually digging this car's looming grave a bit deeper." This piece would suggest otherwise. But I am still skeptical. I think GM is going to have a winner on their hands with the liquid cooled, A123, LiFePO4 pack in the Spark. They are offering a great warranty, and unlimited fast charging. I am betting better range than the new Leaf, and way sportier performance. I don't know: when you combine fast charging with a passive battery cooling system, you're asking for trouble. I'm sure that the problem will be mainly limited to fast charging packs that are already hot, but that isn't such a rare scenario: a Summer's day, a car just run down to near the low limit of capacity, then an immediate fast charge...let's see what's happening after three or four years of fast charging immediately after use. Having expressed doubts about the latest fast-chargers being used with the Leaf, I nonetheless just leased one! I'm "trickle charging" it with a 15 amp 120 volt outlet, though, so I don't think I'm in danger of overheating the pack. In fact, the first two days I have "owned" it have both been over 90 degrees F and the battery pack has barely noticed it. Still, Nissan has (see my old post above!) both suggested that fast-charging be minimized, and has added an 80% maximum charge option to the charge settings, with the suggestion that using it will extend battery life. I just switched to that, but I'm not at all sure I need to, using 120 volts. What do you folks think? Most days I won't be getting to 100% (in fact, it seems to stop just short of that, saying there is 40 minutes left to full charge, ad infinitum) but it would happen a couple of days a week if I let it. Oh, and it's a 2013 silver SV model, with the heatpump replacing the old power-sucking resistance heater still residing in the entry-level "S" model - and with no Quick Charge (or "QC") option. I had been promised an SV with no other options, but they didn't have one, and I ended up getting the Bose high-efficiency sound system and 360 degree view camera system at no charge. So far I really like the car. Also, does the Leaf really use "lithium ion" cells as I always read, or is this just press shorthand? What exactly is the chemistry here? We have owned a 2012 Leaf for 16 months now. We charge it to 80% using a standard 220V charger. In answer to your easiest question: Yes, all Leafs use Lithium Ion. I don't know more details about the chemistry than this. I think it is fairly standard. I don't know about the trickle charger. We have never used it. 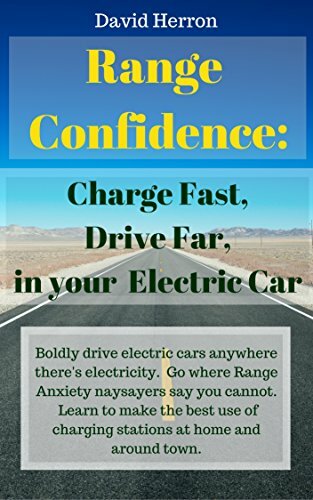 The 220v charger comes on until the car tells it a sufficient charge has been reached and then turns it off. We set the timer for midnight or 2 am to make sure the battery pack is reasonably cool when charging. I don't have any experience with the fast charging systems. I haven't seen one yet in Colorado. You will never hurt those cells charging on 120 volts. Go for 100%. My neighbor is leasing and goes to 100%, every day, on 240 volt, 3.3 kW, on their 2012 Leaf. His wife has a long commute, and needs every watt hour. My other friend owns his outright, and only charges to 80%. But he has a short commute, and plans to keep it a decade! I was told by someone in another forum that the main issue is the cells swelling if the car is stored with the pack at 100%, with heat being a secondary issue. I don't know about that latter part, but if I'm going to need all the capacity i'll set it for 100%, and when I don't I'll reset it to 80%. Well today I bought an OBD2 Scantool bluetooth adapter so I can monitor my battery cell voltages in realtime.